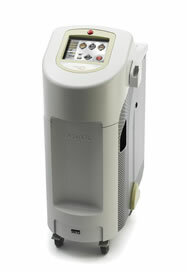 Building on the success of the Cynosure Elite system comes the Cynosure Elite MPX laser machine. This complete aesthetic workstation can tackle just about any cosmetic application from laser hair removal to leg and facial veins to pigmented lesions and aged skin. Despite its impressive power and versatility, you can buy a pre-owned Cynosure Elite MPX laser system from SunrayLaser.com at a surprisingly low price. Just like the Cynosure Elite, the Cynosure Elite MPX offers a combination of a 755 nm Alexandrite laser and a 1064 Nd:YAG laser. That potent combination means this system is faster, safer and more effective than other similar models, and it features the exclusive Zimmer Integrated SmartCool system for maximum patient comfort. We know that you have a lot of choices if you are looking to buy a used Cynosure Elite MPX laser system. That’s why we go the extra mile and provide a range of shipping and financing options, fast and friendly customer service, and a complete satisfaction guarantee with every pre-owned cosmetic laser system we sell. At SunrayLaser.com, you can literally save thousands of dollars on the purchase of a pre-owned Cynosure Elite MPX laser machine. Our prices are up to 60% or more off the new retail cost, and we only deal in the highest quality pre-owned equipment available. Contact us right now for a no obligation Cynosure Elite MPX price quote.